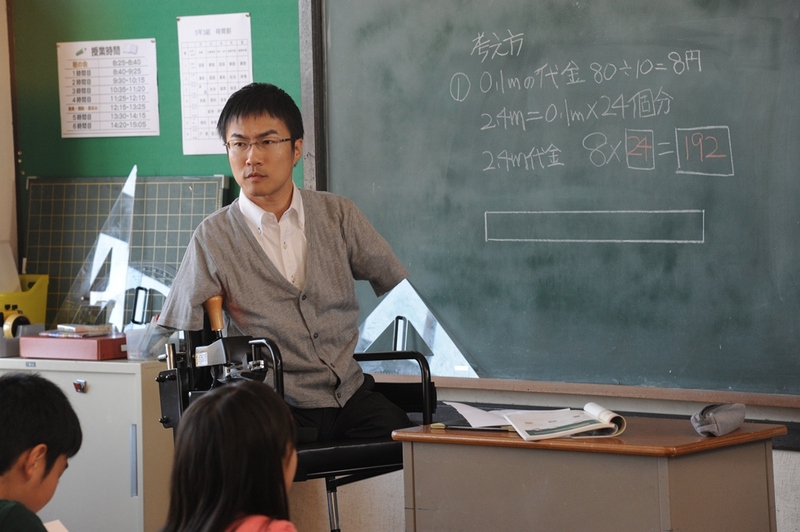 Teaching kids is usually not thought of as a physically taxing job, but take it from one who has done it: It is, especially in Japanese schools, where one teacher may have to deal with 40 bundles of not-always-well-behaved energy. I spent much of my class time at a Tokyo boys’ high school in the 1980s walking or standing, since sitting behind a desk or even on it would have left me too far out of touch with the students, who often needed individual attention — or discipline. And then there was the light but constant labor of handing out work sheets, collecting homework and writing on the blackboard. Actually, there has been some fictionalizing around the edges, particularly in the story of Yusaku Shiraishi (Taichi Kokubun), a childhood friend turned school board member who supports Akao’s quest to teach and even serves as his classroom assistant. But there is also a palpable realism, emotional as well as factual, in the depiction of Akao’s year with his class. Hiroki, who is known for his sensitive work with underage actors (see his 2008 drama about a girlhood friendship, “Kimi no Tomodachi [Your Friend],” for an excellent example), deliberately kept Ototake from contact with his on-screen class of 28 students until the first day of shooting. Their combination of frank curiosity and undisguised unease on seeing him in his motorized wheelchair, looking youthfully vigorous and confident, is no act, while his frank admission of his condition and his request for their support, made with a warm smile and piercing gaze, immediately establishes him as more than just another nonactor. One scene does not a film make, however, and after this impressive entrance, Akao has to deal with the reality of 28 young egos, with defects and difficulties that do not suddenly change when a disabled role model wheels his way into their lives. Then there are the parents and fellow educators who think the hiring of the inexperienced, severely disabled Akao is a PC exercise destined to end badly. But Akao, despite his own doubts about his one-year experiment in teaching (all that the powers-that-be would allow), as well as the obstacles along the way, soldiers on toward solidarity with his class, repeating the title mantra “Daijōbu” (“It’s all right”), even when it isn’t. This story has an episodic, one-crisis-after-the-other quality. Also, the subplot of Shiraishi’s life outside the classroom, including his at-times rocky romance with the exotically gorgeous if down-to-earth Miyuki (Nana Eikura), occupies an inordinate amount of screen time (while making a kind of box-office sense, since Tokio singer/actor Kokubun, in his first leading role in six years, is the film’s biggest star). 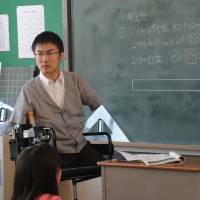 But the story does supply tough tests of Akao’s grit, as well as his ability to bond with his kids, including a scheduled hike up a woodsy trail all but impassable to wheelchairs and a school sports day that calls on coaching skills a man born with no limbs is not likely to possess. Hiroki hits the obligatory notes of uplift written into the script, but his camera also seeks out the sort of true, unguarded reactions, as well as exhilarating moments of natural beauty and grace, that have long been his hallmarks as a director. Some might argue that “Nobody’s Perfect” should have been shot as a straight docu-drama, minus the fictional baggage. I would counter that Ototake’s presence and personality have nothing of the fake about them, even though he is playing a doppelganger rather than himself. Whatever his limits as an actor, he has proven himself to be a gifted teacher and a man of character, both on the screen and off. I know that if I had suddenly found myself in his condition and situation, I would have felt stripped of defenses. To get the attention of a rowdy class, a brave smile is no substitute for a slammed book, in my experience. But he, quite admirably, thought differently. Fun fact: Hirotada Ototake taught at an elementary school in Tokyo’s Suginami Ward from 2007 to 2010. A novel about this was published by Kodansha that same year.